Fantastic location, minutes from 465/65, 20 minutes to downtown Indy. 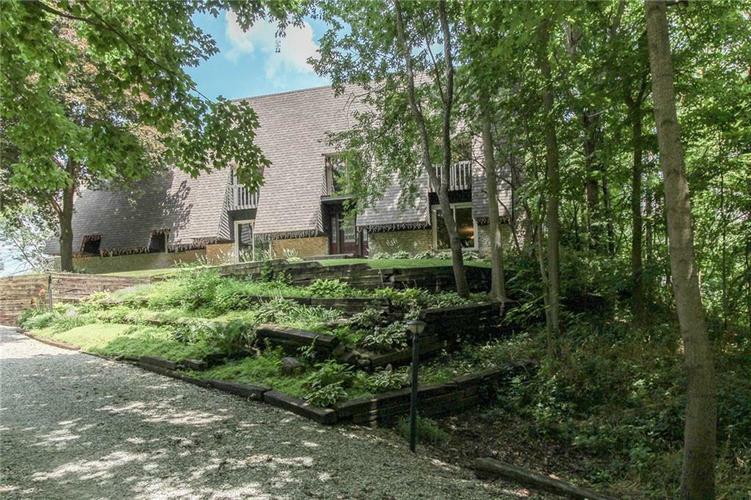 Incredible 3.5 acre lot, privacy, mature trees, woods w/ walking trails, creek on property, and a sunny field w/ 3 stall horse barn, in-ground pool, hot tub. Recent updates: main level mstr bdrm suite added, bamboo hardwoods floors all thru main level, newer roof, interior painted. Solid built (2”x6” studs) custom home, spacious open floor plan and views everywhere to the outdoors. Home has two Mstr Bdrm’s. All rooms are huge. Directions:From I-465 and West 86th St. go west on 86th St. to Moore Rd. Turn North (right) on Moore Rd. and take to "T". Turn right at "T" then 1st Left up Drive. Cannot see home from Street. Home was listed and sold.